In April three of our members were selected to run in the annual Minor Breeds Test (this year hosted by NEFRA at Codsall Wood, near Wolverhampton). 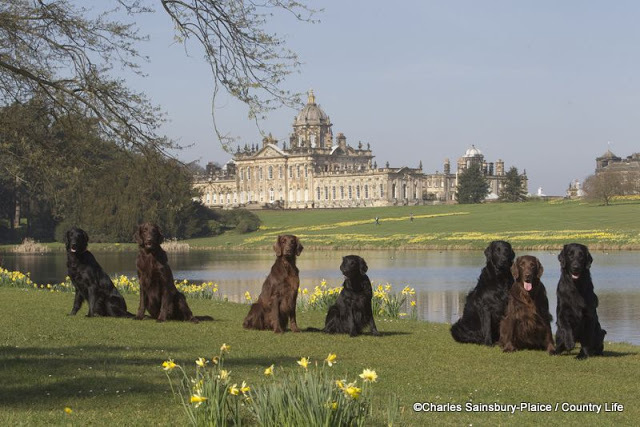 This event was for three dogs of each of the following breeds: Irish Water Spaniels, Chesapeake Bay Retrievers, Curly-coated Retrievers and Flatcoats. Congratulations go to our team who were the overall first prize winners, the team members being Garry Ellison, Gill & Malcolm Awty. 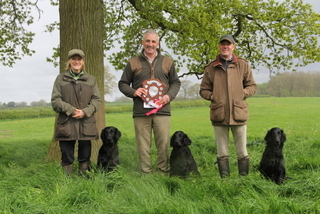 Top Dog on the day was a Chesaeake Bay Retriever handled by Mary Murray all the way from Ireland. This entry was posted in Uncategorised on 21st February 2015 by FlatcoatChris.